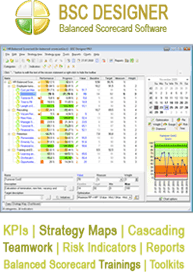 Activity Analysis – click to access group configuration functions and generate reports. Disable/enable Tracking – click if you want temporary disable or enable tracking. Load at Startup – check if you want application to start with Windows. The main Windows contains several sections. With Main Menu you can access some program functions. Find “Options” command in File menu. The Reports menu contains commands for three report types. With Help menu you can access help file, purchase full version or enter registration code. The group Select Report Period helps to specify the period for activity report generation. There are some pre-defined periods, such as one hour or one week, but also, you can specify some specific date and time. Job details group allows specifying some details about done job. Put in “Count” field the number of units done. For instance, if you was working on web-pages, write here the number of web-pages you created. If you was providing quality assurance, put here the number of reports or files that you have checked. This information will help to calculate the time you spend for one unit. Comments might be any text, for instance, you can put here more information about done job or put here billing details for the customer. Personal Profiles group allows specifying relationship between application you use and role you play. You can choose some predefined profile, create your own, or customize existent one. To customize or create new profile, click “Customize” button. Reports group contains three buttons which allows to create various types of reports. Please, note: to change the visual representation of reports you should edit htm templates in “templates” folder. To change the data in reports you should customize your profile and work with your computer so the program could gather data for analysis. Use any text as a Profile name, once the name was changed, click “OK” button to apply changes. Use Categories to specify relationship between applications you use and category to which this application belongs. For instance, with category “Webmaster” you might wish to associate programs with “FrontPage” in caption as FrontPage is a web editing software. For association mechanism you have three options: you might search for certain keyword in application title, in application name or application path.